Earl Brown leads Glasgow Rocks to an emphatic Play-off quarter-final win at the Emirates Arena. Glasgow Rocks produced a dominant home performance to see off Surrey Scorchers as they reached the Semi-Finals of the Play-Offs. The Scorchers took a two-point lead into the Second Leg, but were second best as the Rocks set up a showdown with London Lions. 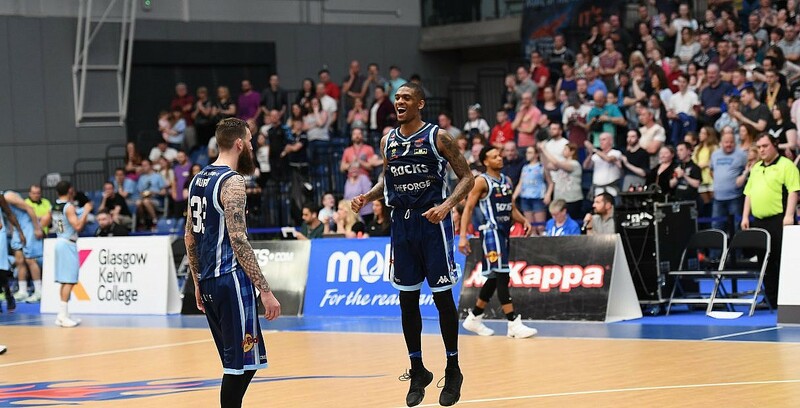 Turning point – Glasgow got their offence flowing early at the Emirates Arena with 26 points in the opening period and by the time Jonny Bunyan connected with a deep three to beat the buzzer at the end of the third, their lead was 20 and there was no way back for the Scorchers. Key stat – Glasgow scored 56 points in the paint and finished at 60% shooting inside the arc as well as converting 18 of 20 free throws. Game hero – Earl Brown had another huge game for the Rocks with a game-high 23 points and 14 rebounds in the win, including some crowd-pleasing dunks along the way.